Tate Britian, Millbank, Westminster, London SW1P 4RG, UK. Known as ‘BP Loud Tate’, the free annual event aimed at 15- to 25-year-olds focused on emerging transitions in identity politics, gender and race within the arts. While the main attraction was a string of hip-hop musicians – headlined by rapper Nadia Rose – the event also featured several artist-led workshops that spanned different visual media. 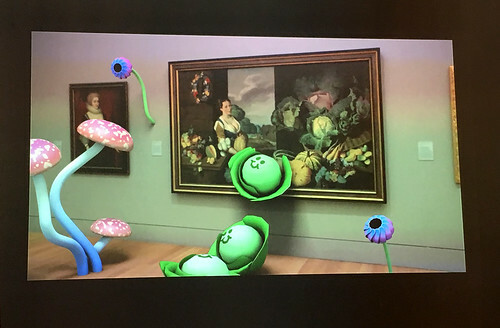 Highlights of the six-hour afternoon event included a workshop led by digital animator Jack Sachs; a collaborative recreation of Mark Gertler’s painting Merry-Go-Round; and a discussion of representation of women of colour in the arts led by journalists from the magazine Gal-dem. In the basement, designer Sachs took us behind the scenes of digital animation. He invited attendees to try the digital creation program Sculptris, which allows users to digitally mould a ball into a creature or an object. 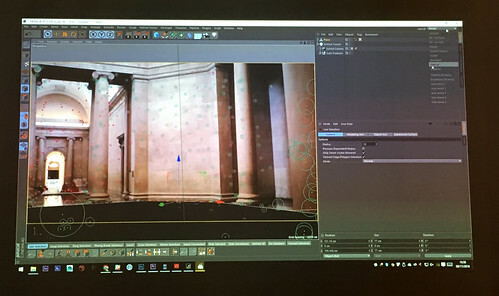 While guests fiddled with the application, walk-throughs of Sachs’s animation process were shown on adjacent computer screens. Also screening was Sachs’s SHHH!, a short film inspired by Tate Britain that brought the institution to life, Night at the Museum style. 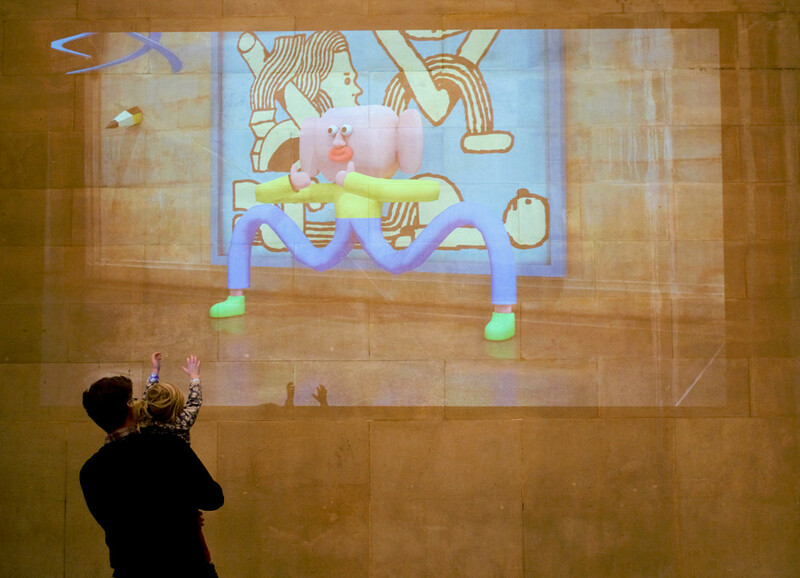 Sachs used a video recording of Tate Britain as the background of the film, and animated items from the art on display. Animated cabbages popped out of Sir Nathaniel Bacon’s oil painting Cookmaid with Still Life of Vegetables and Fruit (1620-25) and bounced across the screen. Jack Sachs’s film SHHH! shown at the BP Loud Tate: SHIFT event. The film took Sachs about three weeks to make. Top: A child reaches towards a projection of Sachs’s film. A walk-through of Sachs’s design process. He used MAXON Computer GmbH’s Cinema 4D to place the animations in his video. 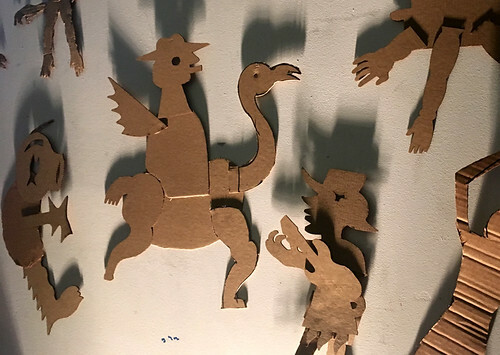 Upstairs, attendees used the basics – cardboard, stencils, scissors and glue – to create abstract cardboard figures. 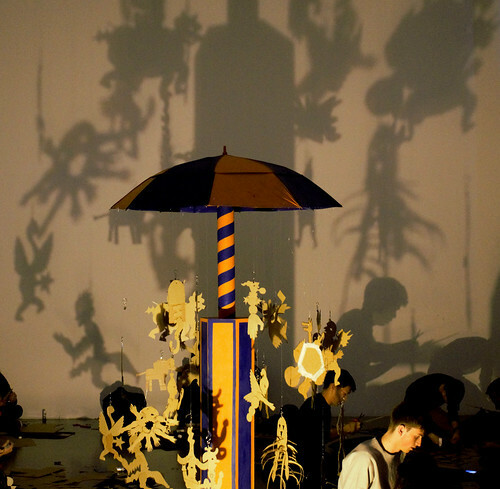 Once complete, the cardboard figures were strung from a makeshift carousel, which was cast with light, creating striking shadows on the walls. The concept came from musician and illustrator Jerkcurb, who was inspired by Mark Gertler’s Merry-Go-Round (1916) oil painting that hangs in the Tate. The completed project stood like a 3D version of the painting. ‘BP Loud Tate’ visitors create cardboard figures strung on this makeshift carousel, which creates long shadows on the wall as it spins. Cardboard abstract figures created by ‘BP Loud Tate’ attendees. The designs were inspired by Mark Gertler’s 1916 painting Merry-Go-Round. They discussed the way the model’s race became the centrepoint of this image, which was evident from the way Bravo changed the title from the direct translation of his inspiration – the Aztec deity Tezcatlipoca – from ‘Smokey Mirror’ to ‘Black Mirror’. This change referenced the model’s experience as a black woman, without the artist necessarily having knowledge of that experience. The discussion concluded by emphasising the need for more media produced by people of different races and genders. 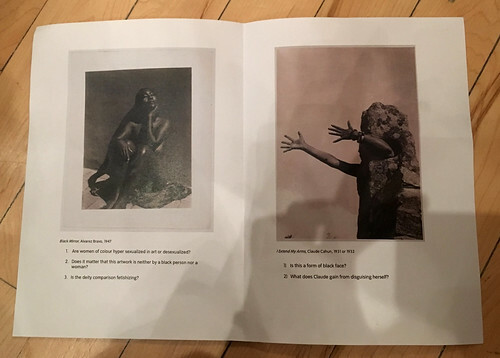 Pamphlet from Gal-dem’s discussion about the way women of colour are depicted in art. The two photographs discussed were Manuel Álvarez Bravo’s Black Mirror (1947) and Claude Cahun’s I Extend My Arms (1931 or 32). 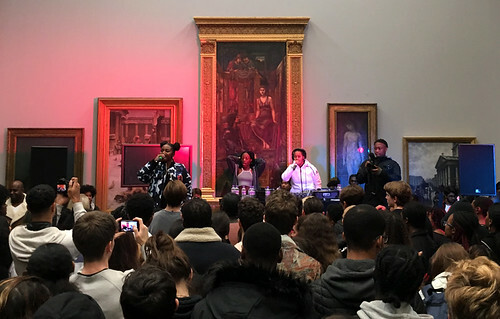 Female-rapper Nadia Rose performs a song in gallery room 1840 at the Tate Britian, closing the day’s performances for 2016 BP Loud Tate: SHIFT. All photos by Mariam Dembele.